The Star Wars franchise has long placed a good deal of emphasis on the distinct vehicles utilized by its heroes and villains, with at least a few new designs for every film. For Return of the Jedi the cool new vehicle was the speeder bike, a hovering cycle that was perfectly tailored for exciting chase scenes. 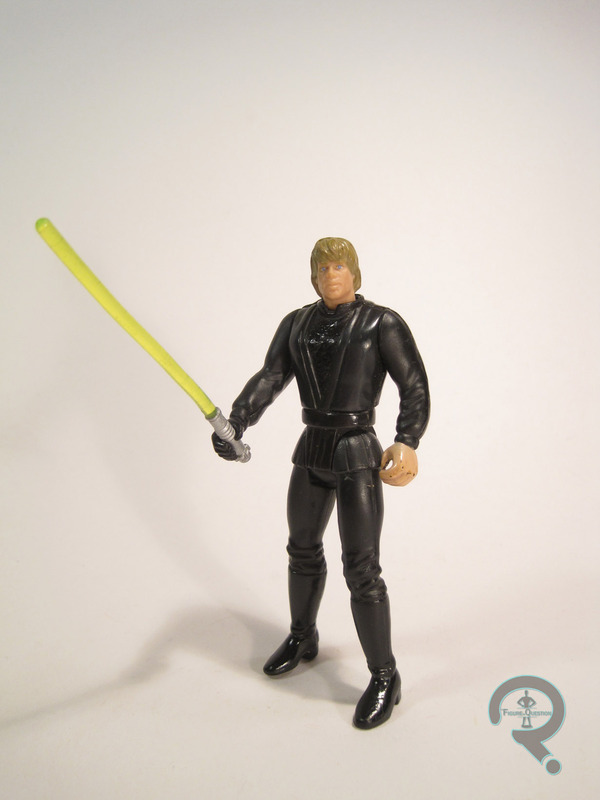 It of course got a release during the vintage line, and by extension, it found itself among the re-purposed vehicle molds for Power of the Force II in 1997. 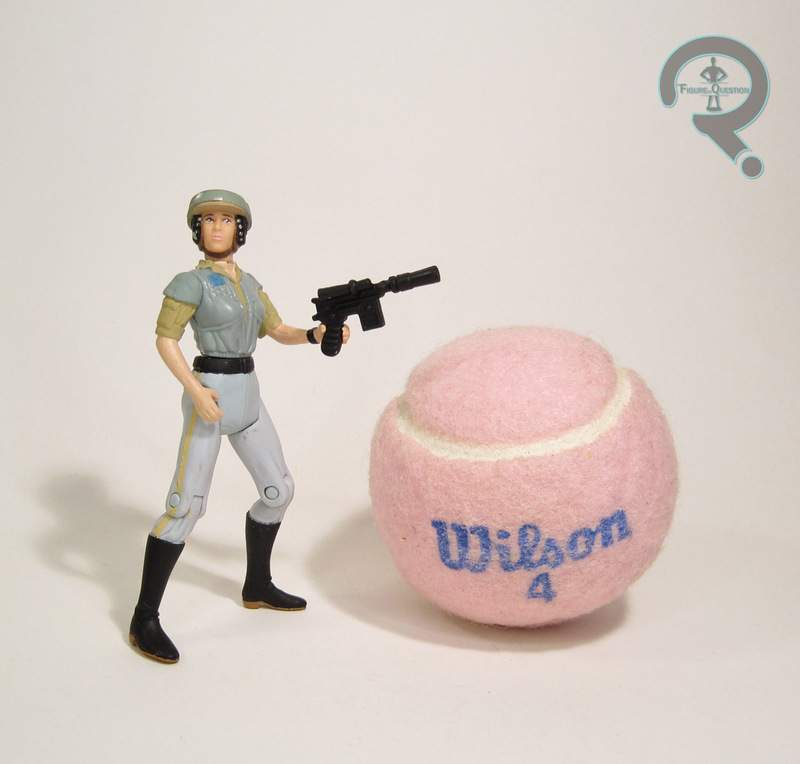 Where the prior release had been sold on its own, for PotF2, it was available with one of three pilots: the Biker Scout, Luke Skywalker, and today’s focus, Princess Leia Organa. 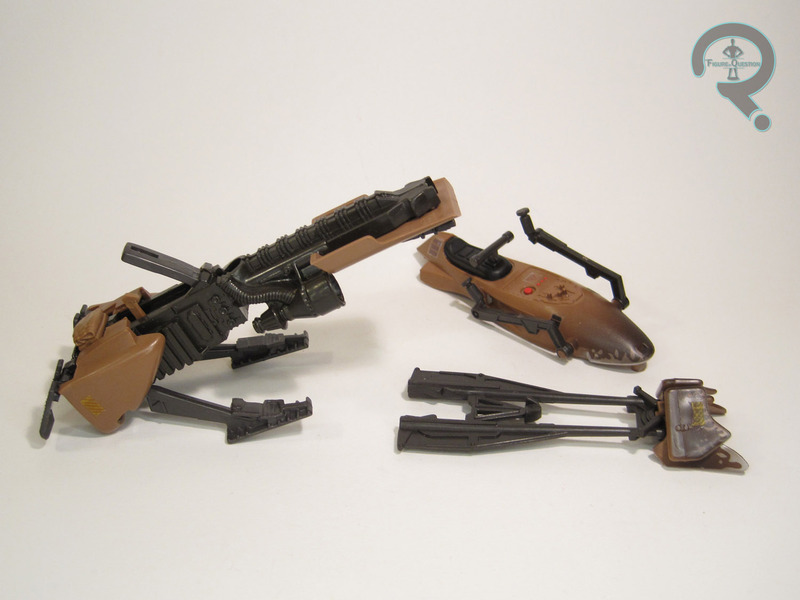 The main focus of these sets was the Speeder Bike, seen here as it appears on the forest moon of Endor. As I touched on in the intro, a lot of the vehicles for Power of the Force II re-used the molds of their vintage counterparts. For the bikes in particular, there’s a definite feeling of “if it ain’t broke, don’t fix it”. 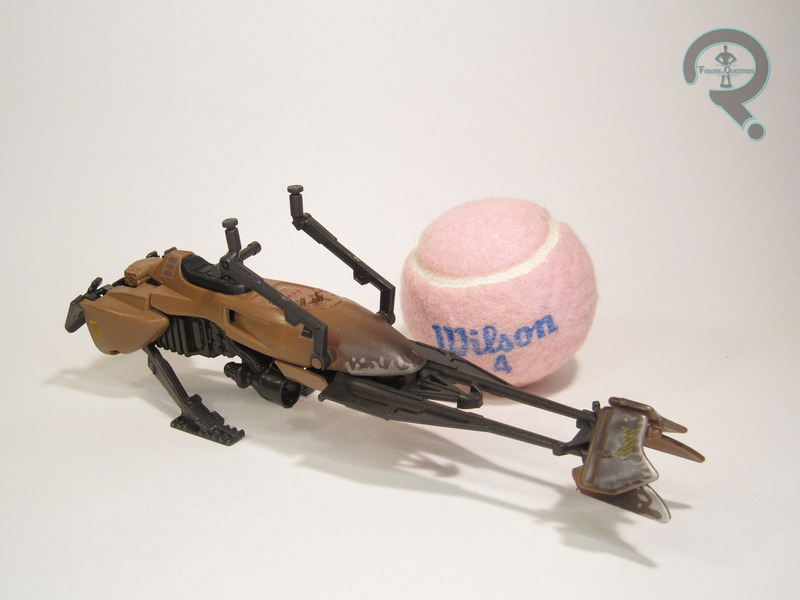 Measuring about 7 inches in length and standing about two inches off the ground, the Speeder Bike is a fairly decent replica of the on-screen version of the vehicle. Some of the features have been simplified ever so slightly, and it still has the original mold’s adjustments to make seating the figure on it a little easier, so the controls are vertically oriented rather than horizontally, and there’s still that little plunger that held the original figures’ legs in place. The plunger was no longer necessary thanks to the vehicle specific riders, but I can’t complain about it remaining, since that keeps it backwards compatible, and meant it could still be used with figures not specifically designed for this set. The foot pedals have springs built in to maintain tension, allowing the bike to stay up straight even if not totally balanced in its weight distribution. Later bikes would instead resort to flight stands and the like, but I actually like how this works, and it certainly makes it playable. Speaking of playable, there’s a whole other spring-loaded feature designed with play in mind. When you press the pack on the rear of the bike, it pops apart into several pieces, simulating the rather catastrophic damage the bikes tended to take in the movie. In terms of coloring, the original bike was always a little on the pale side. This one went a little more accurate, and also supplied some decals if you wanted to go even further with the accuracy. Included with this bike was a variant of Leia, seen here in her camo gear from Endor. Since this is what she’s wearing when on the bike, it’s pretty sensible, don’t you think? Leia’s Endor appearance had previously appeared in the vintage line, though this would be its debut here for Power of the Force. It would, however, later be retooled and released alongside a Commemorative Coin. But this one was first. She stands 3 3/4 inches tall and has 7 points of articulation. These pilot figures were the first to sport knee articulation, which was a definite plus for this Leia, though the articulation is perhaps a little rudimentary in their implementation. The sculpt is about on par with the rest of the line. The helmet is permanently attached to her head, which is honestly the best way of handling it. Her poncho is a separate piece made of a somewhat rubbery material. It’s a little bit bulky, but not terrible as a whole. Under the poncho, Leia’s got a fully defined uniform, which is a respectable match for what she was wearing in the film. Leia’s paintwork is actually pretty darn decent. Most of it’s pretty basic, but the work on the helmet and poncho is subtle and quite nicely implemented. Leia is packed with a blaster pistol which, while it may look really similar to Han’s, is actually a totally unique sculpt. 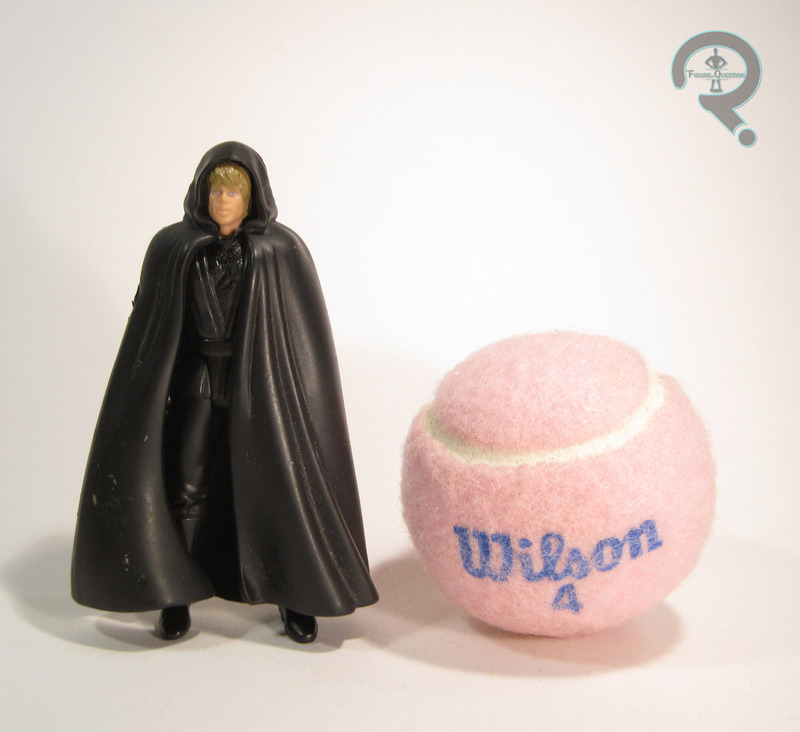 As a kid, the only of these sets I had was the one with Luke. Back last year I finally picked up the one with the Scout Trooper. Leia here? The last of the three to be added to my collection. All Time got her in last winter, and I picked her up during my splurge of PotF2 purchases. 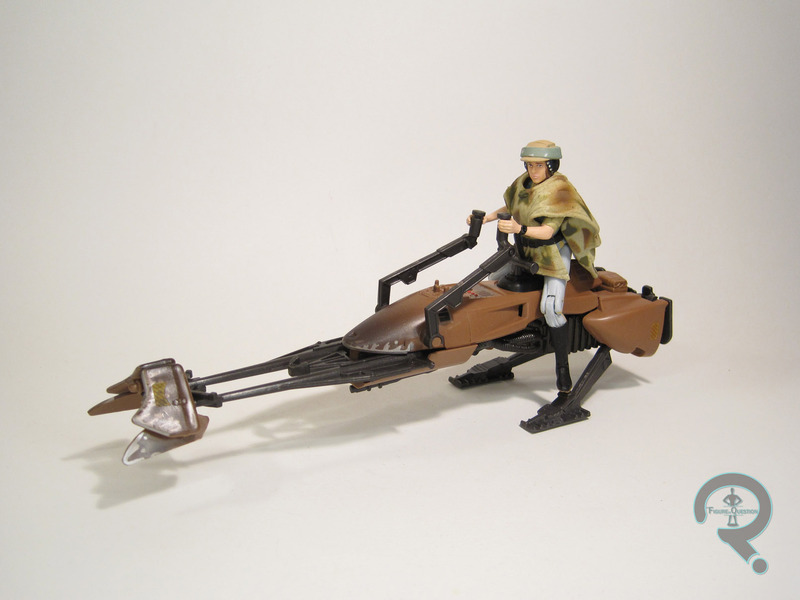 For the money and time it takes to acquire, this release of the speeder bike, regardless of which figure it comes with is really the best option. It’s pretty accurate, the spring loaded features are fun, and it scales nicely with the other offerings. Plus, the Leia figure that’s included is actually not a bad offering, and is probably the best of the three potential figures to go with. Hey, look at that! It’s Mon Mothma, better known as the only other woman in Star Wars…well, at least until 1999. Okay, that’s not strictly accurate. She’s not the only other woman; she’s just the only other one who actually spoke on screen. She’s never been a super prominent character or anything, but the aforementioned lack of other speaking females outside of herself and Leia does make her rather memorable. She’s also had no less than three film appearances, and none of them have been part of the same trilogy. How about that. She’s never been the most toyetic character, but she did find her way into the Power of the Force line in the ’90s, and I’m gonna be looking at that figure today. 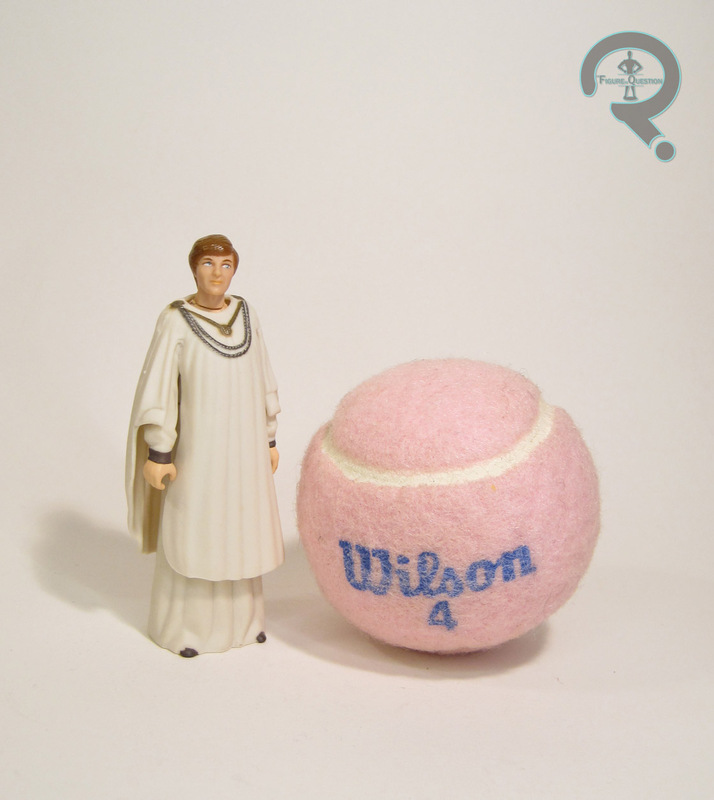 Mon Mothma was released in the 1998 assortment of Power of the Force figures, and made her action figure debut here. Not a huge surprise, given she’s not the most action oriented character. Mostly, she just stood there. 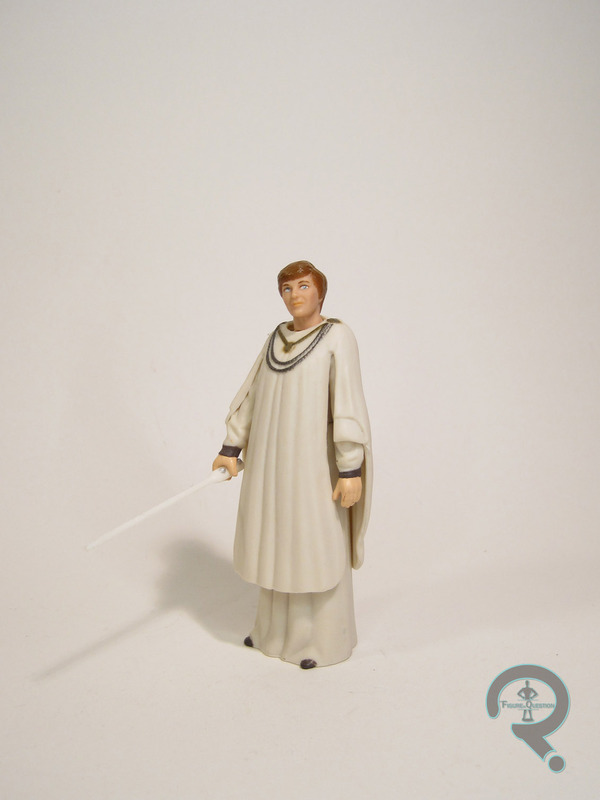 This figure depicts her in her official standing around robes, as seen in the film. Nice. She does this standing around at a height of 3 1/2 inches and she has 4 points of articulation; since she just stands, but does not walk, she does not have any joints at her hips. Mon Mothma’s sculpt is actually pretty darn decent. She’s not at all pre-posed, nor does she suffer from odd or exaggerated proportions. Her head even sports a passable likeness of actress Caroline Blakiston, which is more than can be said for most of the human figures in this line. Or any Star Wars line, for that matter. Likenesses aren’t classically their strong suit. Her robes are rendered via two separate pieces. The underlying robes are sculpted as the figure’s body, with the upper robes being a separate overlay piece. This not only allows her some extra mobility (since the upper robes are a softer plastic), but also adds some additional depth to a sculpt that could have been rather on the soft side. Mon Mothma’s paintwork is reasonable. It’s not thrilling or anything, but that’s kind of the nature of the beast, since she’s by design rather monochromatic. Mon Mothma wasn’t running around blasting or slashing things, so she doesn’t get any sort of offensive armaments. However, she does get a little pointing stick like she has in the movie, allowing her to dispense valuable knowledge. And, as we all know, knowledge is power, so really, she doesn’t make out all that badly, now does she. Bet she could take on the entire Imperial fleet with that bad boy there. 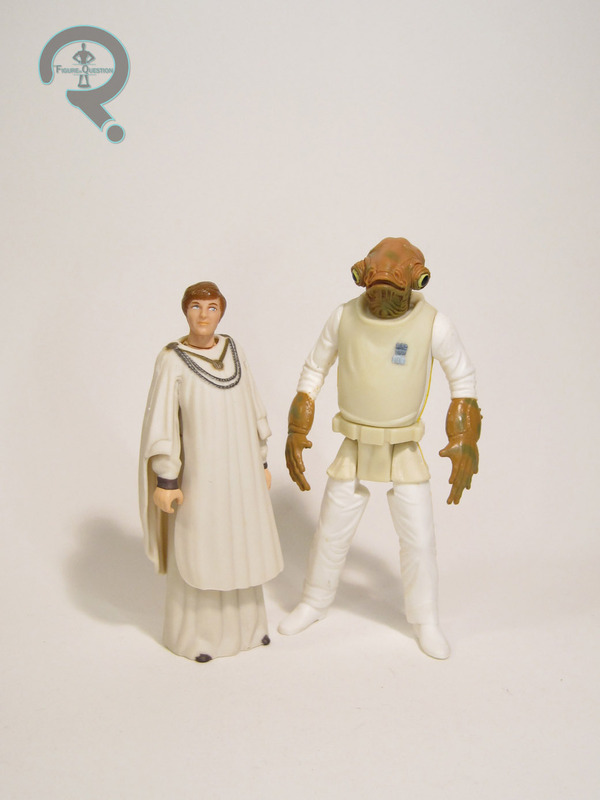 Mon Mothma was a slightly rarer figure when she was first released, so I didn’t have one growing up. Nor do I really think I would have sought out one, because she’s not a very play-oriented sort of character. But, in my mission to get a complete run of PotF2 figures, I was definitely going to need her. Fortunately, my friends at All Time Toys were able to help me out on that front, and got me a loose one for my collection. She’s hardly the most thrilling figure the line had to offer, but the more mature collector in me still rather appreciates her. On the Forrest Moon of Endor, everybody needs camo. While Leia and Luke are just sporting some ponchos, that just wouldn’t do for the coolest guy in the whole of the galaxy far, far away, so Han Solo got to be all badass long-coat-y. 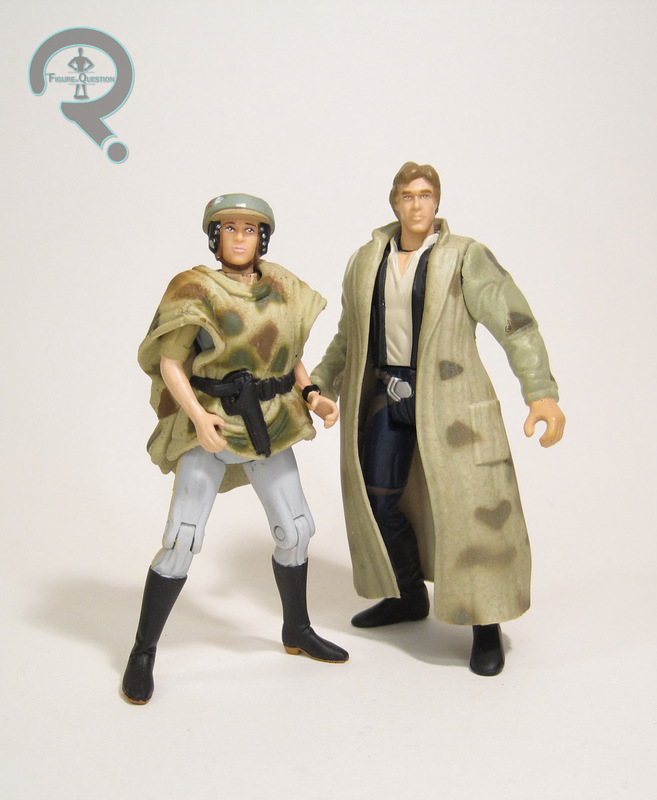 Given the generally retread-ish nature of Han’s costume from Jedi, this long-coat is his go-to look for Jedi-based toys of Han, as was the case for the ‘90s Power of the Force line. 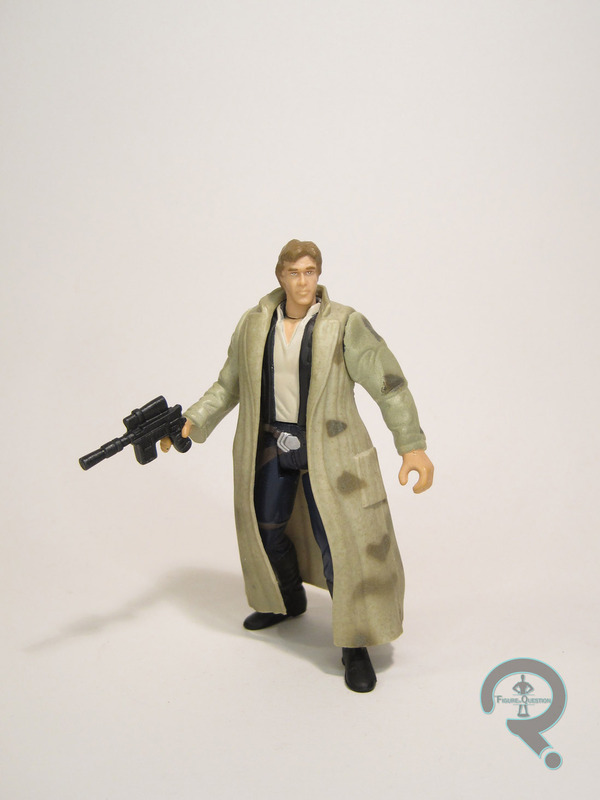 Han Solo in his Endor Gear was released in the 1997 assortment of the Power of the Force line. 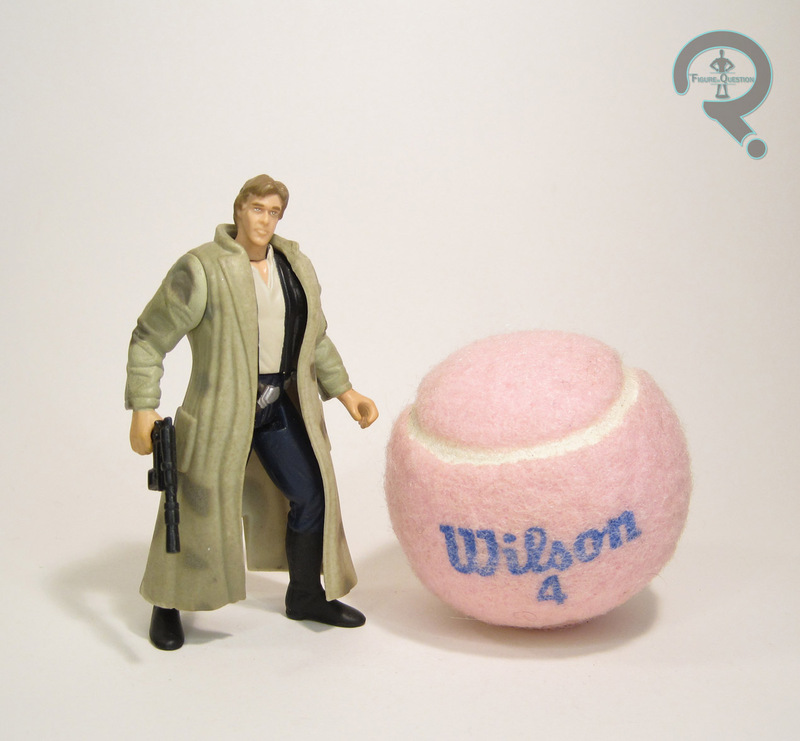 He was the fourth version of Han to grace the line, and one of two Hans released that year. He was also a nice compliment to the Endor Luke and Leia figures that were packed with the Speeder Bikes released that same year. The figure stands 3 3/4 inches tall and he has 6 points of articulation. The formula for building Endor Han was pretty straight-forward; he’s pretty much just the first PotF2 Han, but with a new set of arms and a jacket overlay piece. 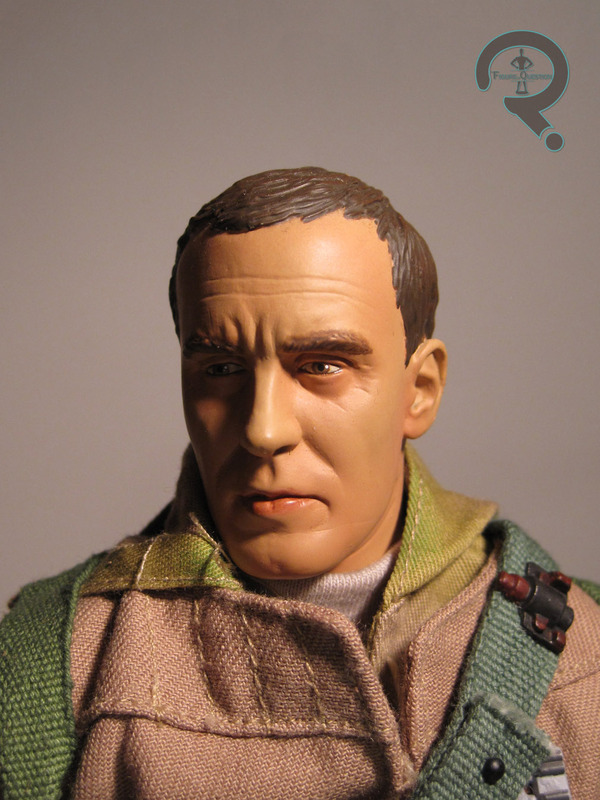 It’s consistent with the rest of the line’s offerings, but also means that this figure is saddled with one of the most “off” sculpts in the line. 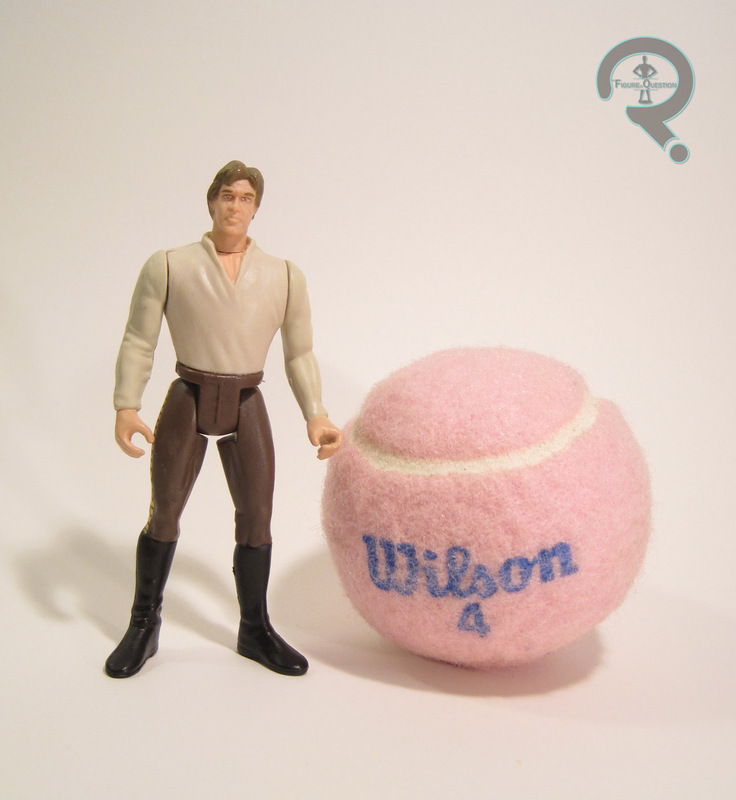 The head never looked much like Harrison Ford, and the body was super, super bulked up. Also, if you want to get technical, the shirt under the vest should be different if you’re going for an authentic Jedi version of Han. Topping it all off, the jacket’s just really, really bulky looking, just further adding to the steroid-fueled appearance for Han. On the paint side of things, there are some plusses and minuses. The jacket works out pretty well with its camo and everything. The biggest issue with my figure is the pants. 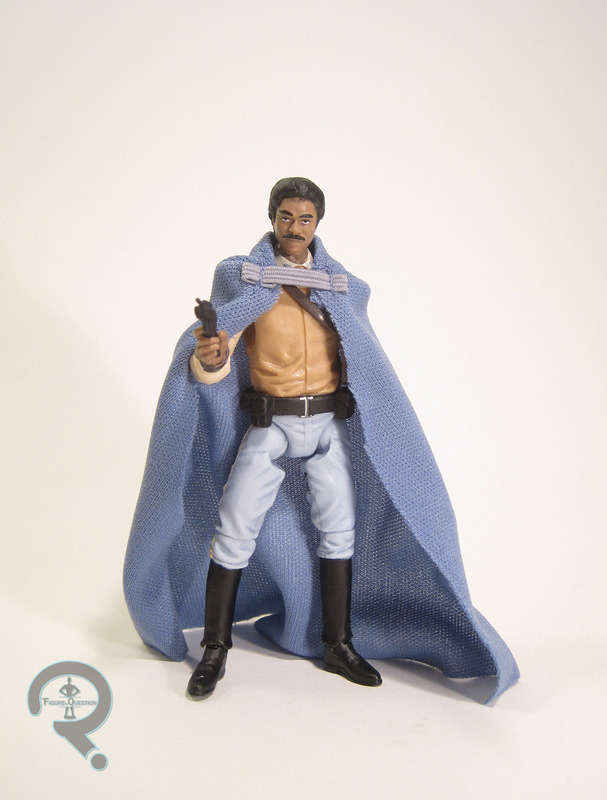 The initial release of this figure had blue pants instead of brown. Later releases corrected this, but generally speaking, this is the one that seems to crop up most often, so odds are very good that you’re going to have an incorrect version if you get one. Han was packed with one accessory: his standard blaster. It’s oversized, as was the trend at this point, but otherwise a worthy addition. As with most Hans from this line, I wasn’t particularly interested in this figure growing up, since it’s so far off from his actual movie look. I ended up adding him to my collection while on my recent quest to get a complete run of Power of the Force II figures, which my friends at All Time Toys are doing their best to assist me with. I got this one from their bin of loose figures, so he wasn’t much of an investment. Ultimately, he’s not one of the better Han figures from this line, but he’s not terrible either. It’s a trap! Sorry, I think I’m contractually obligated to start every Admiral Ackbar review that way. Just no way of getting around it. 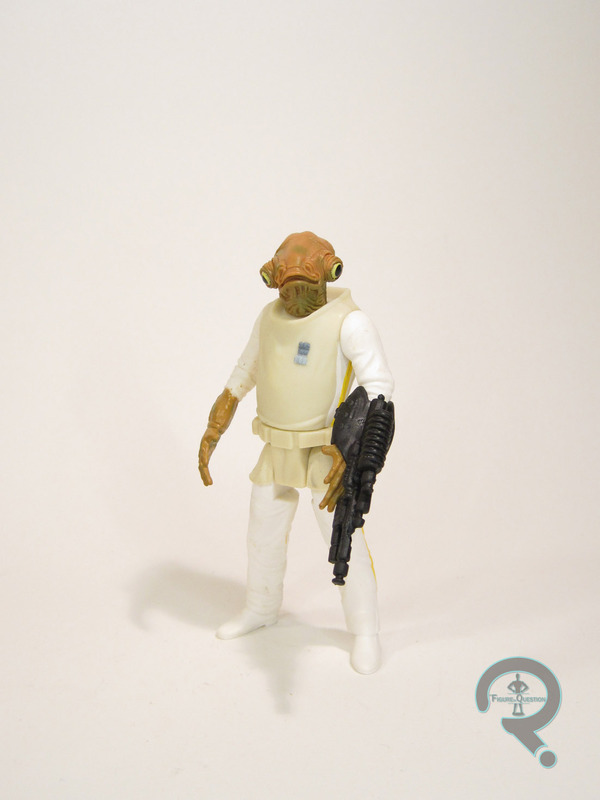 So, now that it’s out of the way, let’s just have a looks-y at this here Admiral Ackbar figure! 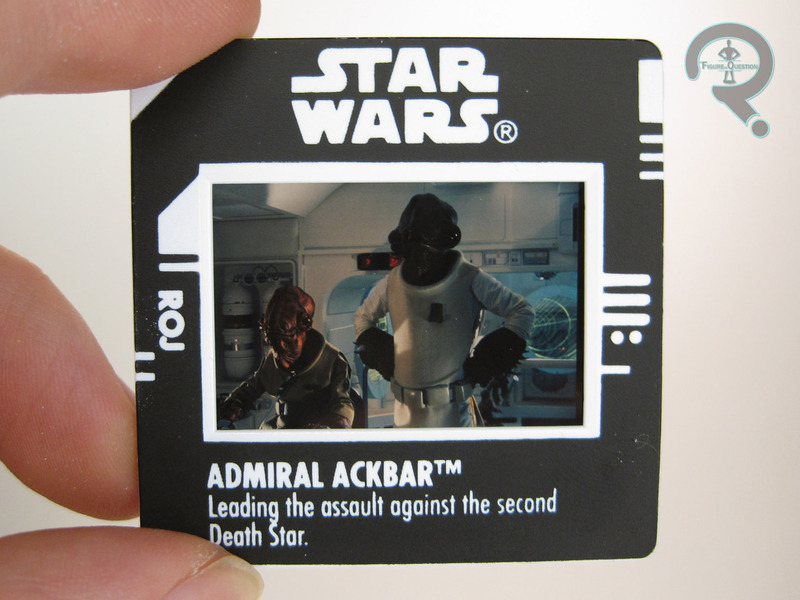 Admiral Ackbar was released in the 1997 assortment of Power of the Force II figures. 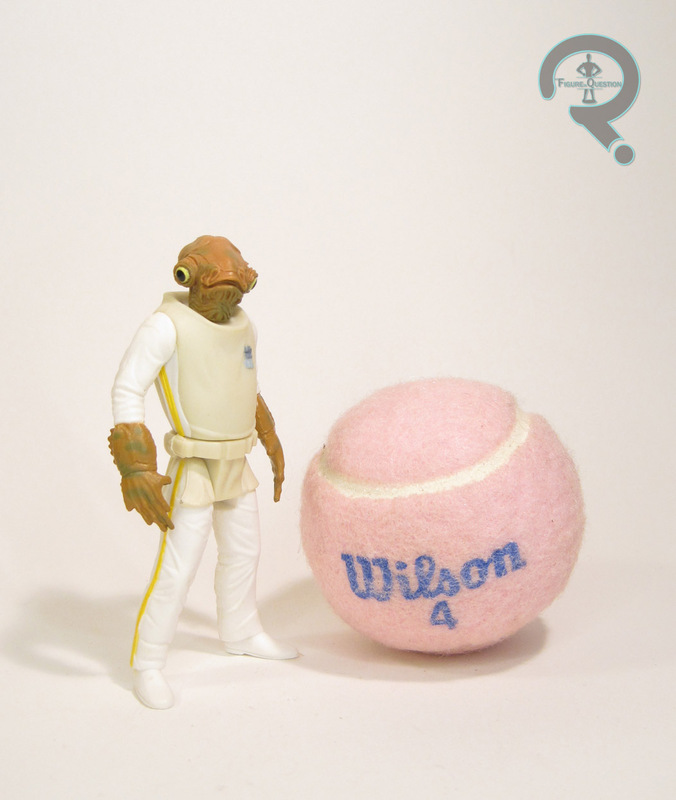 He was Ackbar’s second figure, following his original vintage release. The figure stands 3 3/4 inches tall and he has 6 points of articulation. Ackbar was sporting a brand-new sculpt, and as a more inhuman character, he’s got perhaps one of the most accurate sculpts from this era of the line. There’s a ton of detail going on in the head and hands, and it looks really good. Honestly, I’m not even sure that more recent figures have topped this. Definitely some top-notch work going on here. The rest of the body is fairly basic by comparison, but that’s in keeping with how Ackbar’s design worked in the movie. His proportions are a little bit bulked up when compared to the movie, which was of course in keeping with the rest of the line. That being said, he’s not that far removed, and I think some of the differences can be written off as simply making for a somewhat sturdier toy. The paintwork on Ackbar is actually quite complex for the time. The head and hands have quite a bit of subtle accent work, making them look more properly skin-like, and accenting the already quite detailed head. Ackbar was packed with a wrist-mounted blaster. Fairly certain he doesn’t sport this one in the movie, but I guess we can’t blame them for trying, can we? Ackbar was not amongst the figures I had growing up. I think I just didn’t really have an appreciation for the character until I was a bit older. He’s one of the more recent additions to my collection, grabbed during one of Lost in Time’s sidewalk sales. The figure is definitely one of the best figures from PotF2; his more alien design allows for a figure that’s aged quite a bit better than the rest. 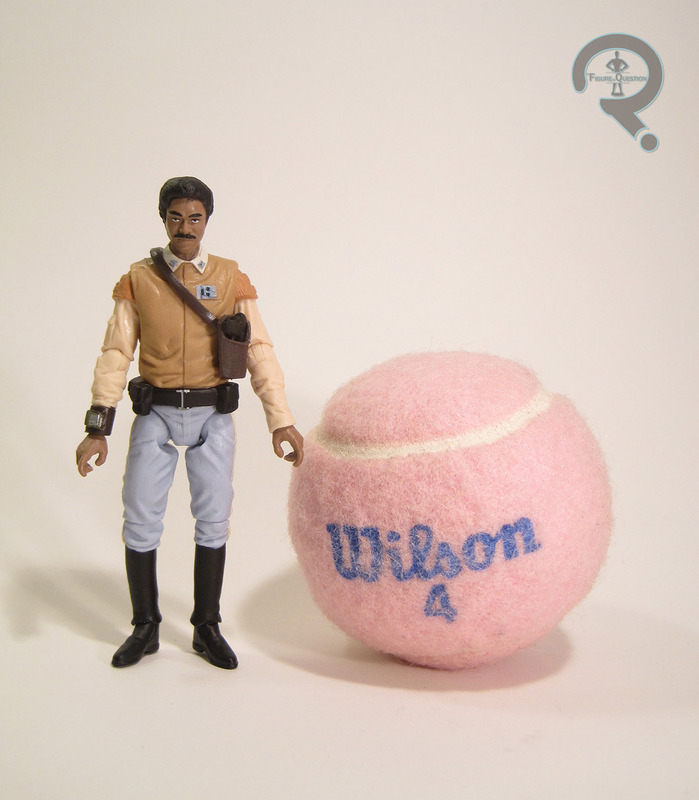 Back in the day, Sideshow Toys was a much smaller company, whose primary focus was largely horror. Their first big break came along in the form of Star Wars, a property that had previously been confined pretty much exclusively to mass retail. They were granted a special license (no small feat when you take all of Hasbro’s exclusivity deals), and got right to work producing characters from all throughout the saga. The line’s still running (though they’ve started partnering with Hot Toys for a lot of releases), but today I’ll be jumping back to the line’s earliest days, and having a look at one of my favorite “characters” from Star Wars, the Endor Rebel Commando! 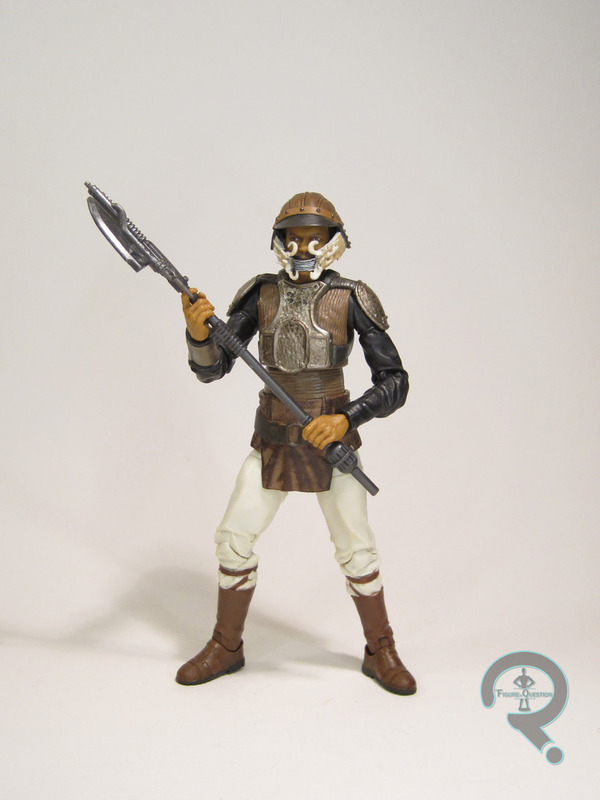 The Endor Rebel Commando was released by Sideshow in 2007, as the debut offering in their Militaries of Star Wars line. The Rebel was no doubt chosen for the relative ease of creation, especially when compared to the likes of the Stormtroopers. 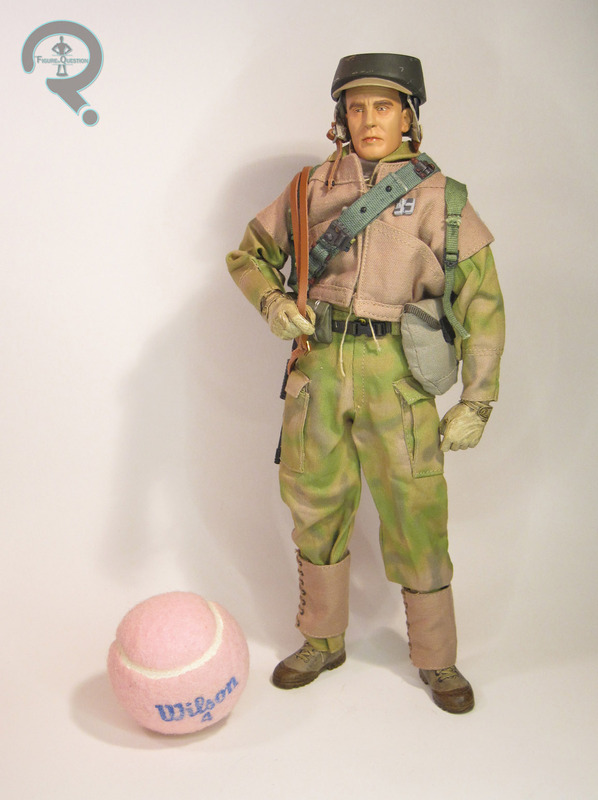 There were three versions of the Commando available: the Infantryman, the Pathfinder, and the Sergeant. 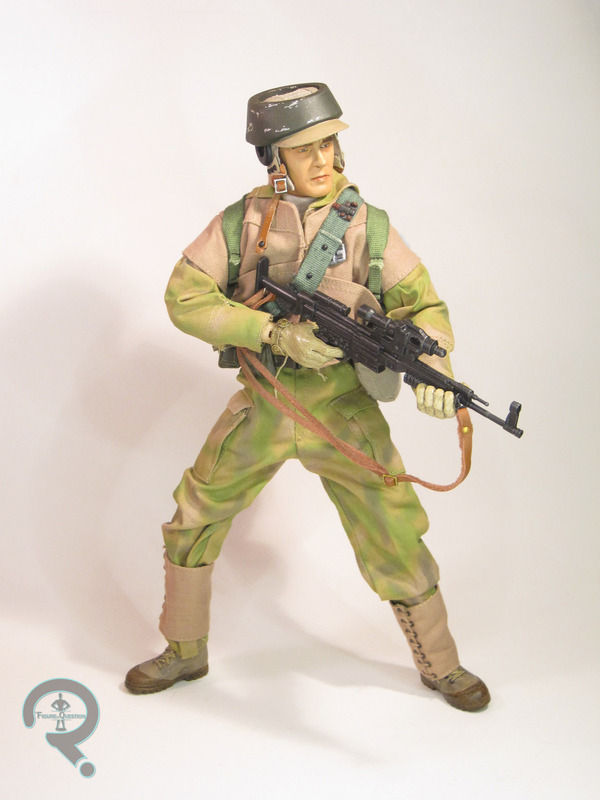 The figure seen here is the Infantryman, the most widely available of the three, and the one meant to represent the most basic “army builder.” It’s the same basic design as the Endor Rebel Soldier I looked at from the PotF2 line, though he’s obviously aiming for a more screen accurate appearance. The figure stands 12 inches tall and has over 30 points of articulation. The headsculpt was a slight change of pace for Sideshow’s Star Wars stuff, since he’s not meant to be based on one particular actor or character. However, he’d look kind of odd if he were too generic. So, what Sideshow did was create a sculpt that was realistic, and clearly one individual, but still generic enough that if you have a few of them standing around, it’s not going to look too odd. While I don’t know that the sculpt they gave us is my ideal head for a Rebel Soldier, there’s no denying it’s a very well crafted sculpt, which looks quite lifelike given the period of time in which it was released. He’s perhaps a little cartoonish by modern 1/6 standards, but he’s right on par with the rest of Sideshow’s stuff at the time, and a marked improvement over the types of sculpts we were getting from Hasbro just a few years prior. The paint work is somewhat thickly applied and a little basic by modern sculpts, but once again was very good for the time, and, admittedly, not bad even by modern standards. The eyes in particular showcase some incredibly lifelike work. The figure’s outfit showcases another area where the industry really changed following this figure’s release. It’s a mixed media affair, as you’d expect. He’s got a vest, jacket, undershirt, and pants that are all tailored pieces. Though by today’s standards, they may be somewhat bulky, loose-fitting, and sport some rather sizable seems, they were decent work for the time, and again an improvement over similar figures from other companies. With a little bit of careful posing, you can get them to look pretty great. He also gets a belt with number of sculpted pouches (and one cloth one) and a bandolier, which both match the other offerings in style, and replicate the gear the Rebels were carrying in the movie. His boots and gloves are sculpted. The gloves are actually just hands, and they’re very nicely detailed, and quite well scaled to the body. Sideshow at this time was always very good with the gloves. The boots are, unlike with later figures, actually boots that slip over the figure’s feet. Due to being made from a softer material, their detailing isn’t quite as sharp, but they’re still very good. Lastly, and most importantly, the Infantryman has his helmet. The Endor helmets are my favorite aspect of this design, and while this one isn’t a 100% match for the ones from the movie (it’s a little flat at the top, and sits a little high on his head), it’s still a very nice piece, and really pulls the whole figure together. The primary failing of this, and really all of the early Sideshow Star Wars offerings, is the base body he’s built on. He uses Sideshow’s Buck body, which was decent when they first started using it, but was almost a decade old by the time of this figure’s release. It’s a rather stiff body, and clothes have trouble hanging the right way on it. 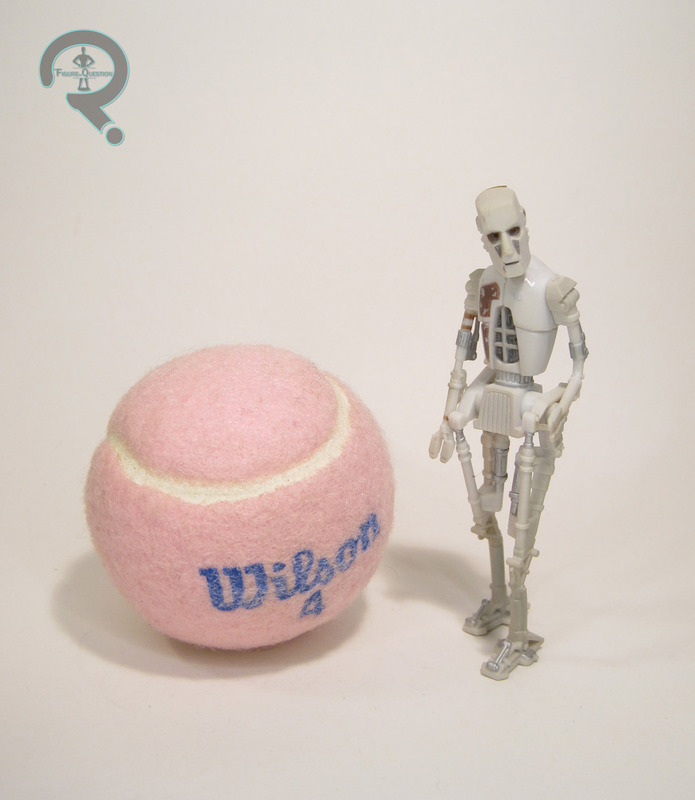 It’s also very skinny and suffers from some very odd internal proportions. It’s this body that makes the uniform look a bit more off than it should, despite how it looks when not on this body. The Infantryman’s uniform was more involved than some of the line’s other figures, so by comparison, he’s a little lighter on accessories. He includes a Blastech A-295 blaster rifle, his hard-pack survival pack, and a display stand with the Star Wars logo on it. He doesn’t get some of the more interesting smaller extras, but what he gets all of the basics. It took me quite a while to actually break into the Sideshow Star Wars line, and it was a ways after this figure’s release. I remember being very interested in possibly getting this figure, but I just never did. He’s not a bad figure at all, especially when you look at when he was released. 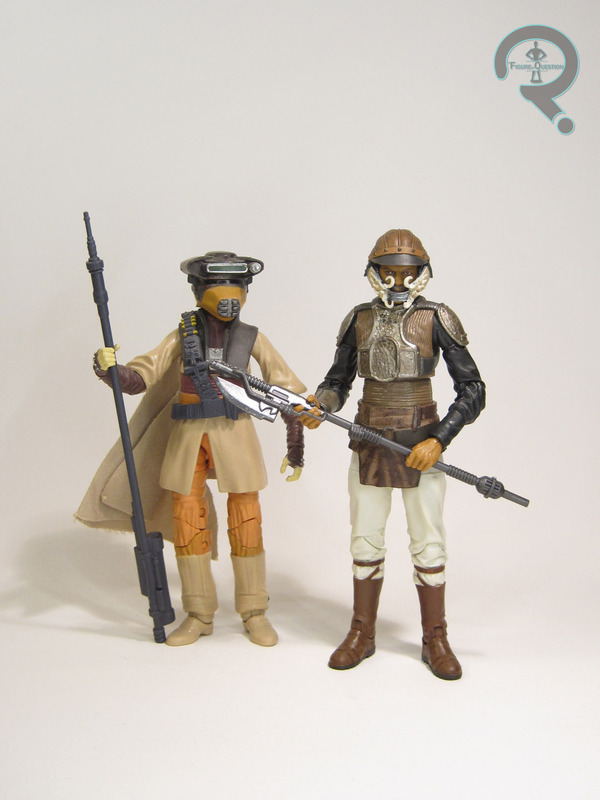 What’s more, this is still the only time that the Endor Rebels have been released in this scale. The item reviewed here is not from my personal collection, but was instead loaned to me for review by my friends over at All Time Toys. If you are interested in owning the figure from this review, he’s available through All Time’s eBay page. And, if you’re looking for other toys, both old and new, please also check out All Time’s full eBay store front, and take a look at their webstore at alltimetoys.com. Man, they went all out on that bio, didn’t they. Not much need for me to add anything, so here’s a Han Solo figure! 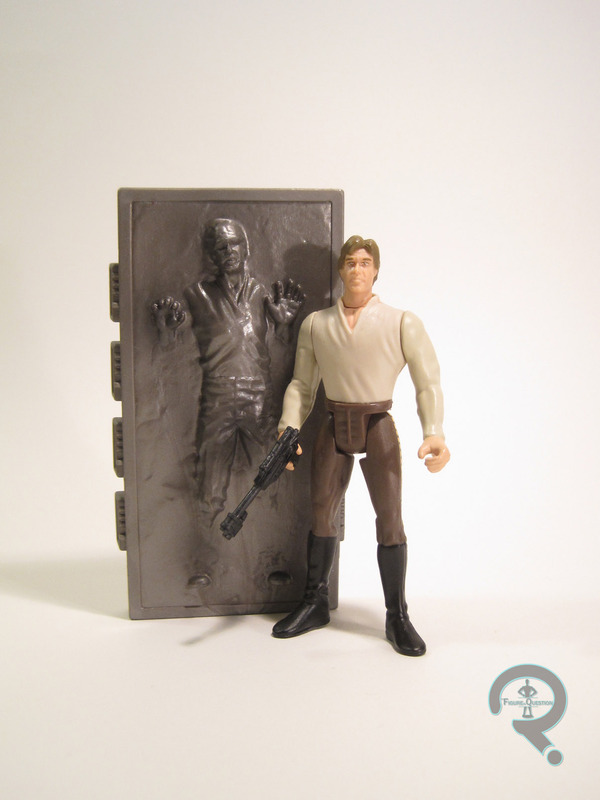 Han Solo in Carbonite was originally released in 1996, as part of that year’s first assortment of Star Wars: The Power of the Force II figures. The figure saw a number of re-releases over the course of the line’s run, and is one of the more common figures out there from the line. He stands about 4 inches tall and has 6 points of articulation. 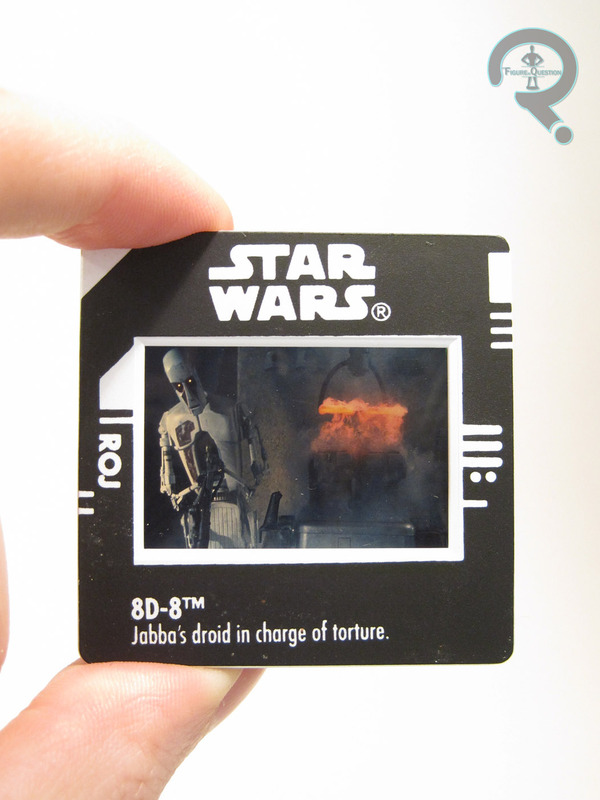 Han is depicted here just after being freed from his frozen carbonite prison at the beginning of Return of the Jedi. We can tell he’s an “after carbonite” figure from his lack ofthe shackles he had in Empire. Technically, I guess the hair could also be a tell, but all of the early PotF2 Hans had the exact same hair anyway. The head is the same one used for all the other Han figures from this line (well, barring the final one from just before the end), which doesn’t have much in the way of a Harrison Ford likeness. At least they were keeping it consistent. The rest of the figure’s sculpt was new to him. He’s still got the really exaggerated proportions and super tight clothing, but is otherwise one of the tamest sculpts to come out of this line. He’s pretty much just in a basic standing pose, with no goofy mid-step thing or oddly bent arms. The one main inaccuracy that stuck out at me was the shirt, which follows the pattern of his A New Hope shirt, rather than the more detailed ones from Empire and Jedi. It’s far from the worst mistake, and 9 out of 10 people wouldn’t notice it, but I am that tenth person. The paintwork on Han is about on par with the rest of the line. It’s fairly basic and the colors aren’t terribly thrilling, but it gets the job done. 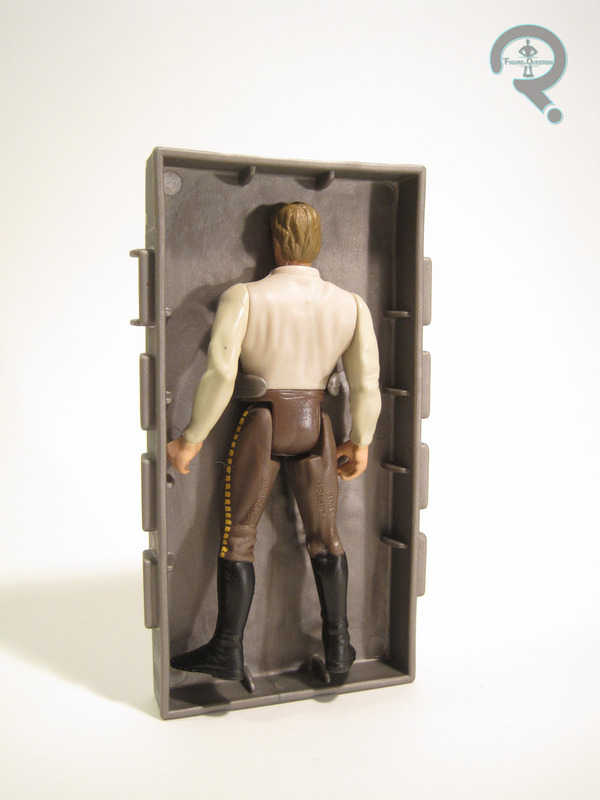 Han’s main accessory is, of course, the carbonite block. It’s a pretty cool piece; the front is a pretty faithful recreation of the movie prop, and the flip side is hollow, with a clip at waist height, allowing for the figure to be placed on the underside. Han also includes a small blaster, patterned on the one he uses to save Lando from the Sarlac. This version of Han was the second Hon Solo I owned, following the mail-away Stormtrooper disguise figure. He was procured on a trip with my grandmother, I think, though I’m not 100% sure on that. It’s irrelevant at this point, because I don’t own the figure anymore. I rather foolishly sold it about 15 years ago, on the basis that I already owned other Hans, which doesn’t even makes sense to me anymore. 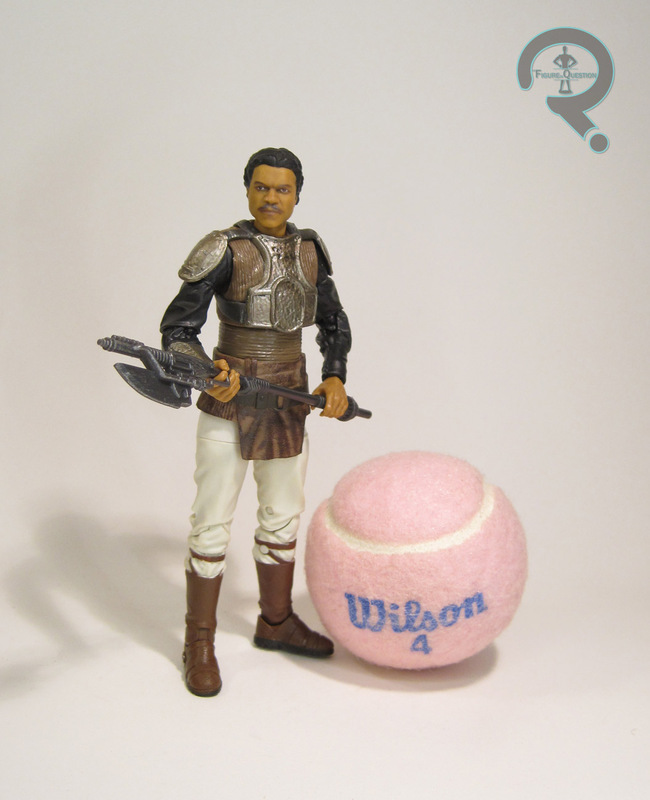 The figure you see in this review is a replacement, which, like the last several PotF2 figures I’ve reviewed, was picked up during the Farpoint charity auction. This figure’s actually a bit better than I remember him being, and is probably the best of the Hans from early in this line (though the later ones kind of surpassed all the others). Not bad at all.